Even after years of testing, Suzuki still doesn't know exactly what is causing cracked fuel tanks. November 18, 2018 — A Suzuki Kizashi recall has been ordered for more than 21,000 model year 2010-2013 cars with fuel tank problems that can cause gas to leak and start fires. Suzuki says the vent lines that provide fresh air to the carbon canisters can allow dust to enter and block the flow of air. The fuel tanks could crack due to excessive negative pressure, allowing fuel to leak onto hot ignition sources. 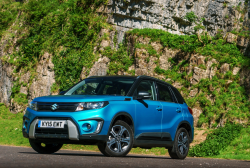 Suzuki knows it's a problem, but the automaker doesn't know how it will fix the issue or when dealers will be given the go-ahead to make repairs. Suzuki received a technical report from the field indicating a Kizashi gas tank was leaking and causing fuel odors, and a second report indicated a warning light was illuminating, with both incidents occurring in Kansas. The Wichita vehicles were found to have large amounts of sand accumulated on the upper parts of the fuel tanks and in the carbon canisters and filters. Suzuki technicians also determined the sand was causing high air flow resistance in the vent lines for the carbon canisters. The automaker believed Wichita rough roads caused clouds of sand while driving and Suzuki also learned there had been a flood in 2015. However, by March 2016 the automaker still couldn't determine the exact root cause of the problem, so an additional investigation was opened to determine if muddy water had entered the canisters during the flood. But Suzuki's testing produced no water entry into the canister filters or canisters and also showed that it would take approximately 125,000 miles of driving to replicate the sand accumulation seen in the two cars that had the problems. The automaker received a third report, this time from Nebraska, where technicians found the leaking gas tank had been replaced during a previous recall for spider webs affecting the fuel tanks. Suzuki found sand was clogged in an air duct hose at the rear differential where it is normally difficult for sand to enter. Then a fourth complaint arrived from Wichita, then a fifth from Missouri and a sixth gas tank complaint came in from South Dakota. This sent engineers looking into causes not related to the Wichita flood as more complaints came in from the Wichita area, leaving Suzuki concerned about conducting further testing due to the winter weather conditions in Wichita (snow-covered ground) that could make it difficult to reproduce incidents involving dust and sand. The automaker put off additional testing until the following spring and engineers finally determined Wichita sand is very fine (like flour) and a cloud of sand easily appears around the cars when driving on rough roads. 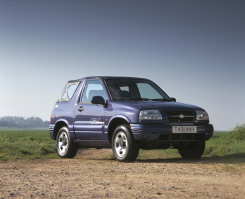 Suzuki judged that the problem of filter clogging was not attributable to a flood but rather was due to driving on rough roads. The automaker conducted driving tests in Wichita to confirm the sand entry route between the rear fender lining and wheel housing and found the very fine sand could pass through the rear fender lining made of non-woven fabric. 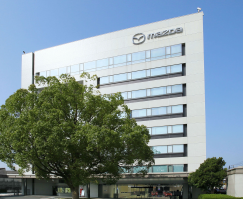 Suzuki further found the number of recent complaints was greater than the number of complaints related to the 2014 recall even though the complaints come from certain geographic regions. The automaker says it still hasn't determined the true root cause of the problem and currently has no idea what will be done to prevent the cracked gas tanks. 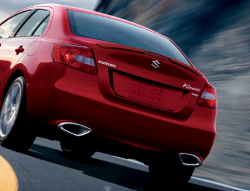 Call the automaker at 800-934-0934 if you drive a 2010-2013 Suzuki Kizashi and have concerns. 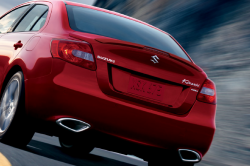 CarComplaints.com has complaints you can read about the Suzuki Kizashi.